In summer of 2010 in Moscow the former guitarist of STILL Alexander Kapustin and the vocalist of ARKAIM Evgeny Smagin (both bands have already been featured in a heavy metal compilation (2006) and shared stage) decide to form a band. After some consideration the band assumes the name VOLCHYA SOTNYA. The first work of VOLCHYA SOTNYA is a cover version of �The Vampire� song recorded in tribute to twenty-fifth anniversary of ARIA band. In spring of 2011 the band becomes the winner of �INTERNET TRIBUTE TO ARIA� project. Following the victory Stanislav Kozlov (bass) and Aleksey Agapov (drums) join the band. Throughout its existence the line up of VOLCHYA SOTNYA has also featured Leonid Arkhipov (bass), Evgeny Zotov (drums), Anton Mikheev (bass). A tribute to Sergey Mavrin. In parallel Evgeny and Alexander work at new material of their own. This work results in a full-length album �Angel�s grief�. The band plays shows in Moscow clubs and in other cities. 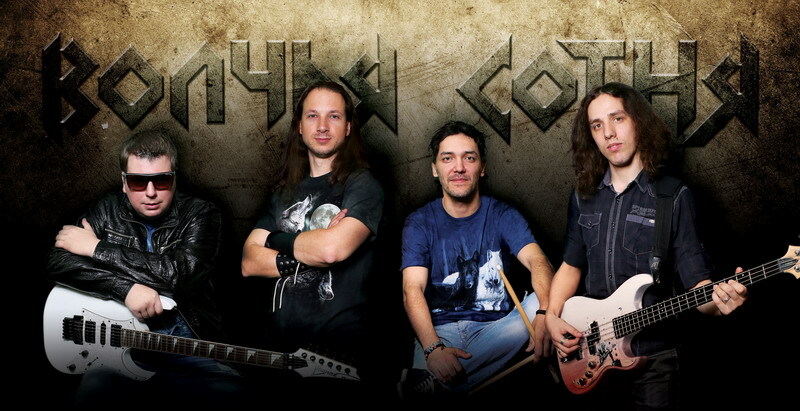 VOLCHYA SOTNYA plays modern melodic heavy metal with strong male vocals, enriched with keyboards.